This non-profit corporation provides tools for women to successfully own, operate and grow their small businesses—so it needed to look the part. 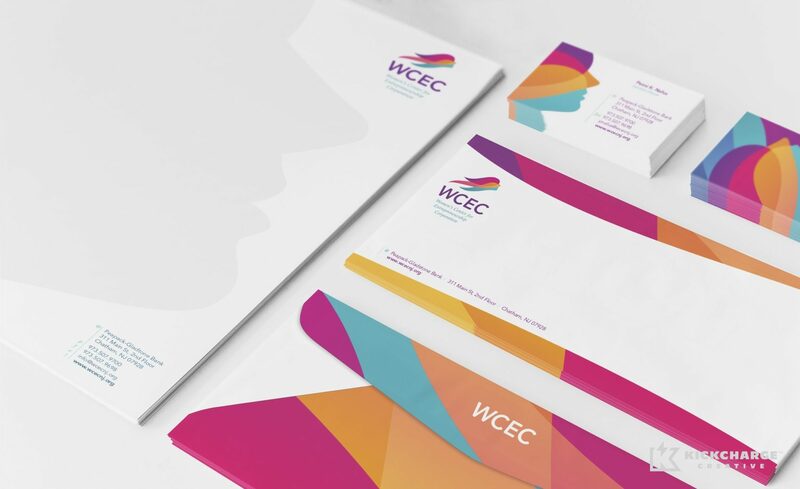 The Women’s Center for Entrepreneurship Corporation (WCEC) needed a brand identity that strongly inspired and empowered women. “We teach entrepreneurship. If we are telling folks that a top quality Internet presence is necessary to establish credibility, we need to have the best,” said Penni Nafus of WCEC. Penni interviewed other designers and reviewed portfolios, but something was missing. It was her son who recommended us, and she was “very impressed” with our portfolio of work, and decided that we “most closely aligned” with the concepts she wanted and needed. WCEC needed a non-profit logo design that was innovative, progressive and fresh. And that’s where we stepped in. When Women’s Center for Entrepreneurship Corporation approached us for a brand overhaul, we were excited to be tasked with this opportunity, especially since the KickCharge team at the time was nearly 65 percent women. The brand we developed uses a feminine, yet bold color palette of violet, teal, orange and magenta. An icon that inspires female leadership and growth is paired with a modern font used on the company name. The brand, which won a Silver Award in 2012 from the Art Directors Club of New Jersey, was brought to life on the company stationery and website. The WCEC website promotes female empowerment and diversity, which are at the heart of WCEC’s core beliefs. We used its online platform to integrate greater user functionality by including a schedule of the WCEC seminar/courses. Now users can instantly register for these events online. Developing a brand and website for WCEC was a deeply rewarding experience for our team at KickCharge Creative. We felt connected with its brand on multiple levels, not only because our employees are mostly women, but because our small business started with a single entrepreneur. 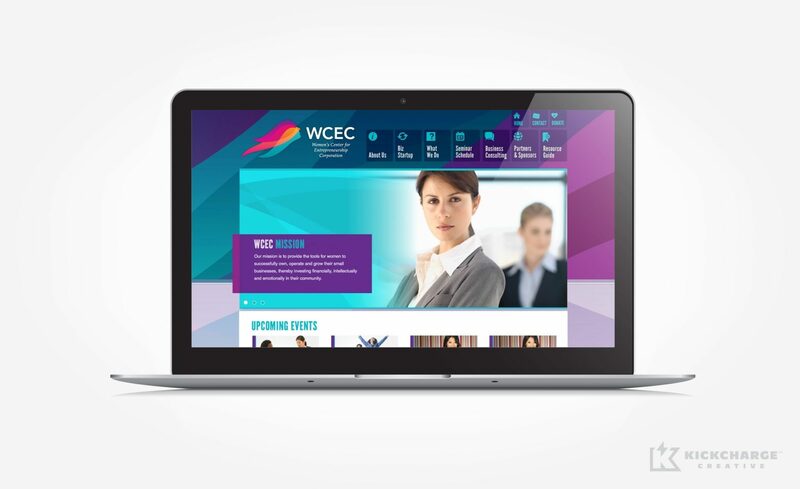 Thanks to an award-winning brand that conveys professionalism and the added website functionality, WCEC’s training programs are now better promoted. In addition, its brand is the source of many compliments from members, according to Penni. KickCharge helped WCEC achieve its business objectives by developing an “outstanding website that not only looks great, but is very user friendly and within our abilities to execute changes and additions,” she said. Today, WCEC can continue to arm women with the tools required to succeed in entrepreneurship. Go Team Women!